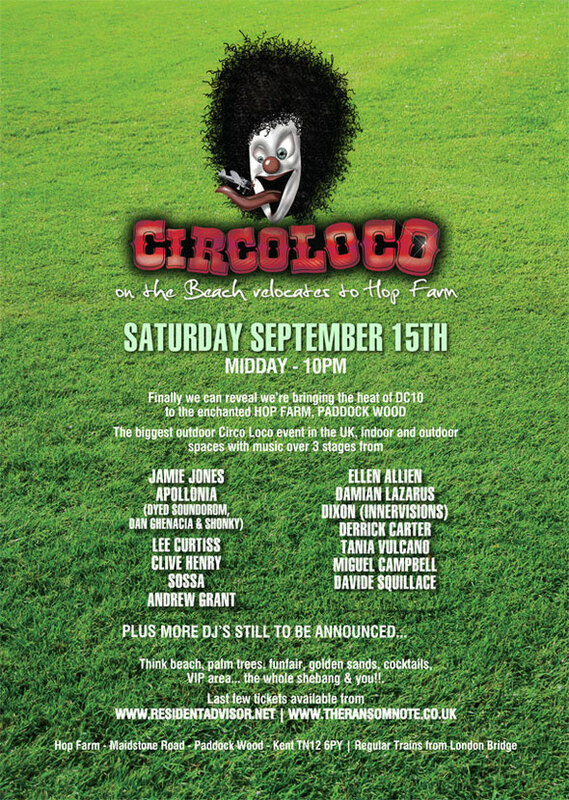 With Circo Loco’s move to Hop Farm in the lush Kent countryside, tonight’s summer closing party is now taking on festival status with added line-up and VIP passes to match. Thanks to an extra stage of music, the following acts will be now be bringing more Ibiza sprit to the party. Apollonia (Dyed, Dan & Shonky), is the new imprint of Dyed Soundorom, Dan Ghenacia and Shonky, as well as their back-to-back-to-back moniker, which sees them rotating one record each throughout the set. Having only played once in the UK before, this will be a festival exclusive which they’ll be marking with a very special extended set. BPitch label head Ellen Allien will be out and making a stand manifesting her acclaimed eclectic sonic vision. 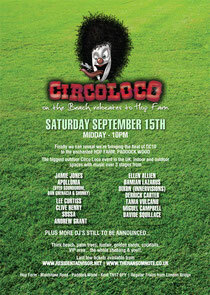 One of Detroit’s current champs and Visonquest heavyweight Lee Curtiss along with last year’s rising star Miguel Campbell all come together to form a sterling Circo Loco line-up. There will also be a number of VIP tickets available to buy which will entitle you to a dedicated VIP queuing system allowing speedy access to the event, VIP marquee with additional DJs, executive toilets, outside chill out area with loungers and 2 x Free Drinks for every ticketholder.